NOWSPAR participated in this commemoration in two ways, media discussions and a sports event for girls. 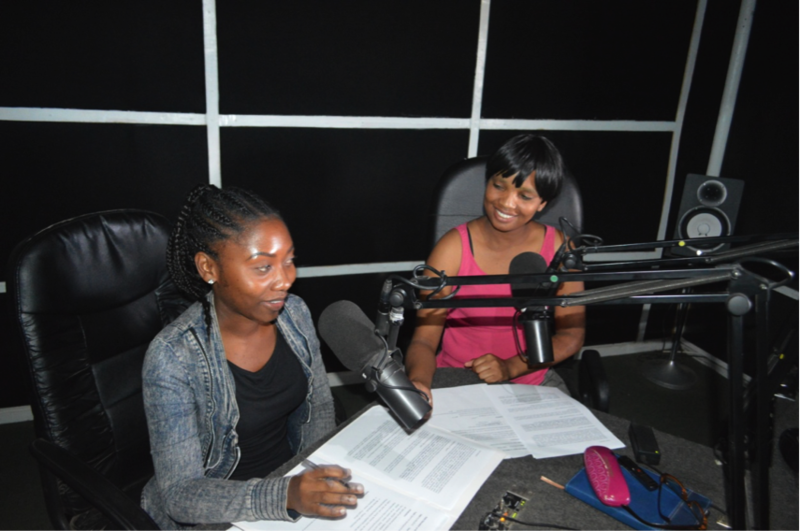 We featured on a Live Radio Program on Metro FM on Wednesday 1st April, where our Advocacy Officer Ms. Mofu Kandondo and Project Assistant Ms. Maketo N’gombe discussed the Goal Program and how sport contributes to girls’ empowerment and development. This year NOWSPAR is reaching 2,500 girls and young women with sport activities and leadership skills. By doing regular sport and life skills practice, girls will be fit and healthy and able to take on leadership roles. 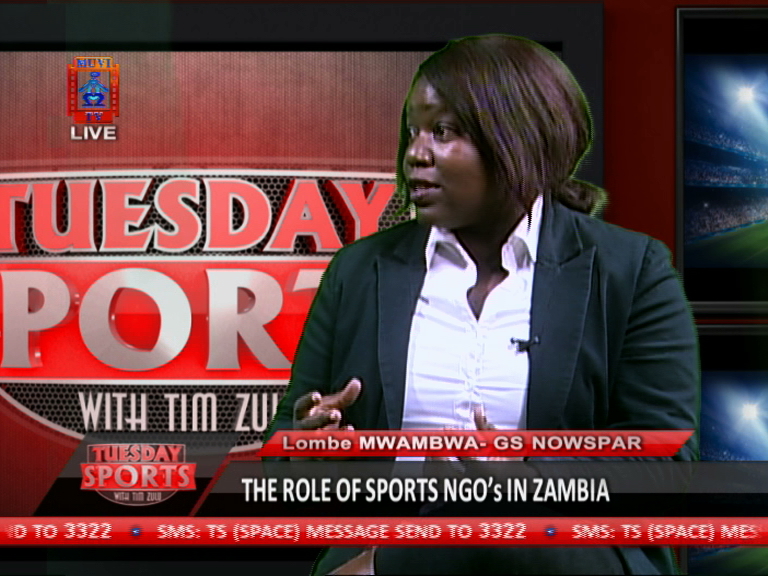 On Tuesday 7th April our General Secretary Ms. Lombe Mwambwa was Live on Muvi TV discussing the Role of Sport NGOs in Zambia. Themes covered include advocacy issues, leadership, fair pay in sport, governance and policy framework of sport in Zambia. ‘Sport NGOs in Zambia have contributed to the innovative methodology of community engagement and empowerment. Through programmes such as Goal, girls and young women access rights information and skills such as Financial Literacy which they would likely not have had if not doing sport.‘ She said. There are several Sport NGOs in Zambia, last year, during Zambia’s Jubilee Celebrations, a Sports Festival was hosted with the support of the Nowergian Olympic Committee and the National Sports Council of Zambia to showcase sport’s role in national development. The 10th of April was more physically active as we hosted a Goal Event at the Olympic Youth Development Centre led by our Goal Project Intern Ms. Mirriam Nanyinza. There were 51 girls between the ages 12 – 20 years from 10 sports codes (judo, hockey, basketball, volleyball, handball, badminton, taekwondo, netball, tennis and swimming clubs based at the OYDC). During the event, three topics were covered, Peace, Hygiene and Making Money, the session was lively and the girls said they enjoyed playing and learning the various skills from the games. “I enjoyed the game on making money, atleast now I have an idea on how I can make money to use at break time at school.” said Liya Mbila. “I have learnt how to work together with my teammates and how to solve problems when I argue with my mates”, said Tina Moonga a 14 year old Volleyballer. During the sessions some girls also had the opportunity to settle their differences with their friends: “I am glad Esther and I are friends again”, said Stacey Banda. They were able to open up and confront each other without fighting. The UN Day on Sport for Development and Peace is a global platform to promote and advance the role of sport in addressing global issues. Read more about the day and what organizations around the world are doing and you can download a Report by the International Olympic Committee on the Contribution of Sport to Sustainable Development Goals and the Post-2015 Agenda. Last year, NOWSPAR participated in a Sport NGO Exhibition hosted by the OYDC on the first ever UNDSDP. NOWSPAR’s information stand provided information about the role of sport in girls’ empowerment and the challenges that sport is used to address such as protection from violence, limited access to reproductive health information and access to physical activity and play for girls.